The world moves fast when you’re at the top of the food chain, but sometimes you need to check into reality, slow down and consider what is really important, says an unusually sombre Shane Cubis. Last night, I was in a hotel room writing a eulogy for my dearly departed Nana Jean while an ABC show about David Stratton and the history of Australian cinema played in the background. At first I was unimpressed with the biographical side of the show, but then it clicked in with what I was writing. For people of a certain age, David Stratton was just that bloke on The Movie Show who didn’t like anything fun. Similarly, a grandparent is someone who’s always there, always old, always established in the world. It’s startling, when someone passes away and you go through the process of building their bio for the celebrant, trawling through ancient photo albums for iconic memories and swapping stories with fellow bereaved, to discover fresh facets to a person who was fixed in your orbit. 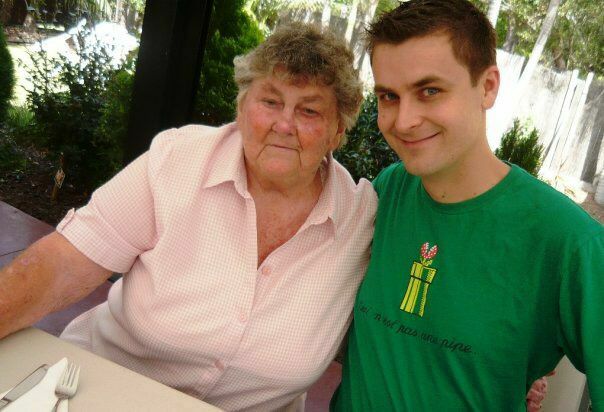 Nana Jean with a slightly younger Shane Cubis. Obviously, not all of us get to reconstruct our pasts with the assistance of our nation’s cinematic luminaries and funding from Screen Australia, but it’s a useful reminder that we often see the people close to us through a narrow lens – in the specific connection they have to us. That’s especially true of the older generations in our lives, who seem to have sprung fully formed with a love of housie, tennis and Judge Judy. 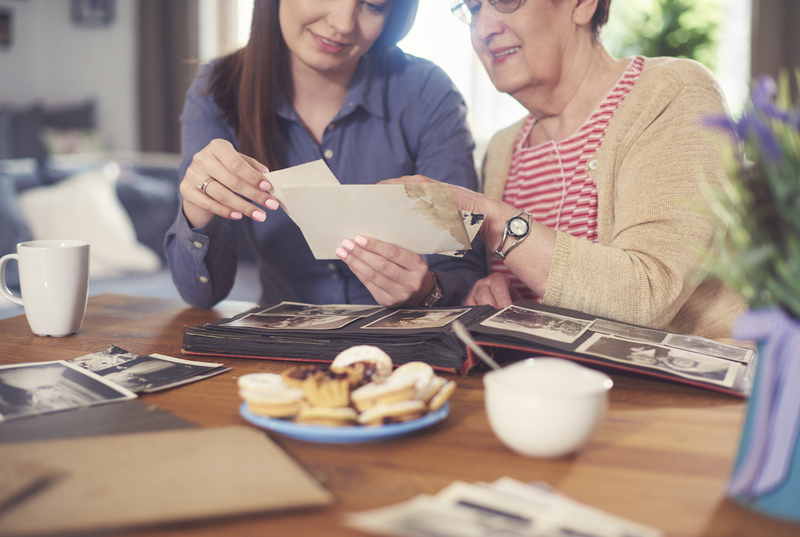 It might be time to slow down and, if you haven’t already, mine your extended family for their stories. Otherwise, you may regret not being able to ask them something one day. *As far as I am aware, Nana Jean did not have an entirely separate second life. I want to make that clear.